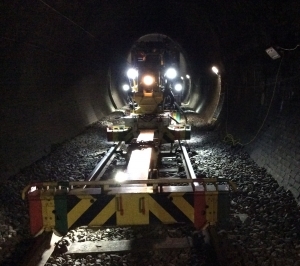 On Sunday 11th of December, SB Rail’s crane team completed a six week series of weekend plain line track renewal works in Barnet Tunnel, North London. 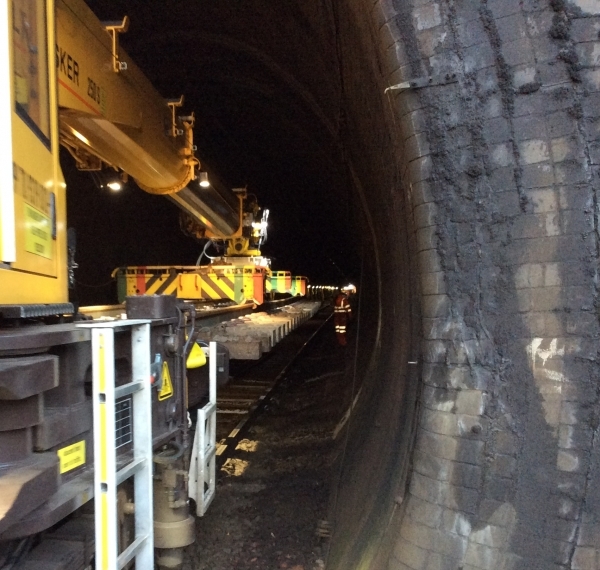 Working on behalf of Carillion, the new crane successfully replaced 44 sixty-foot plain line track panels in this restricted tunnel space on the East Coast Main Line. “We’re delighted to have assisted Carillion with these works, demonstrating the abilities of our new KRC 250 multi-tasker, in this case working ‘end-over’ and in a challenging and restricted space”.